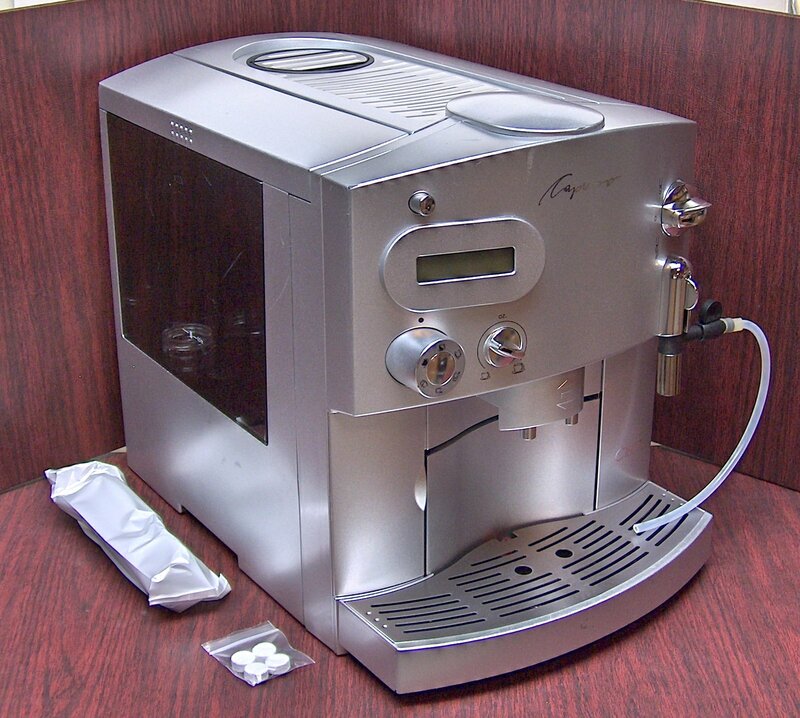 > Jura-Capresso C1500 Super Automatic Espresso Machine! Thermoblock boiler is fast, durable and provides excellent heat retention for consistency. 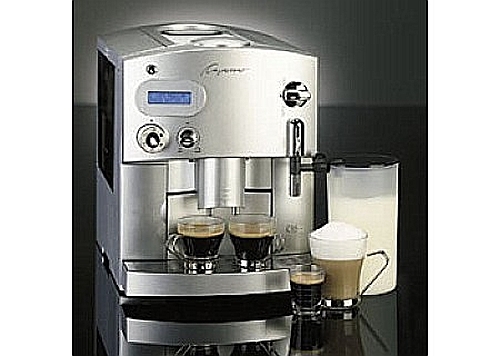 Includes FrothXpress milk extraction frother – valve and suction tube. Use frother or Steam only. 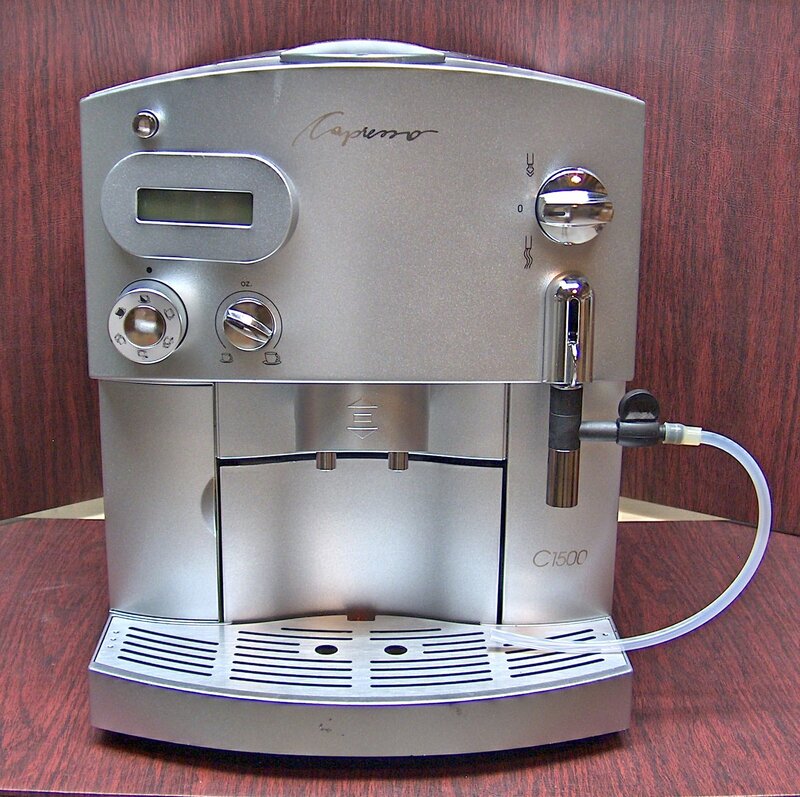 Dial selector for single & double shots, mild or strong coffees, beans or pre-ground. Dial selector for custom shot sizes from 1 to 7.5oz and 2 to 15 oz for two cup button. Two-line LED display guides the brewing process, alerts and programming information. Extra rinse cycle when changing coffee flavors. Auto shut-off from 1 to 5 hours. 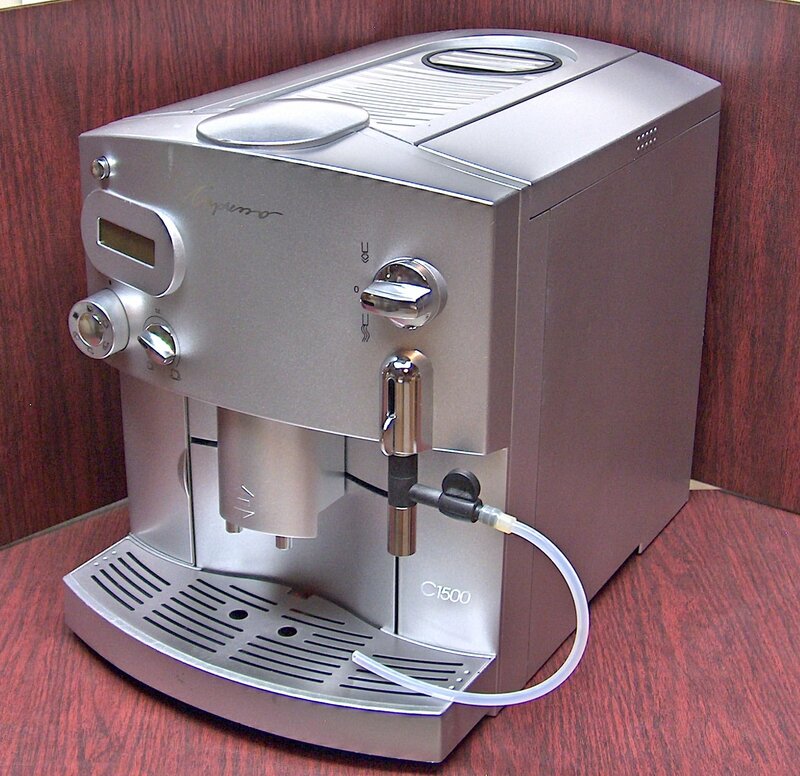 Drip Spouts can be adjusted from 2” to 4” for espresso cups to coffee mugs.